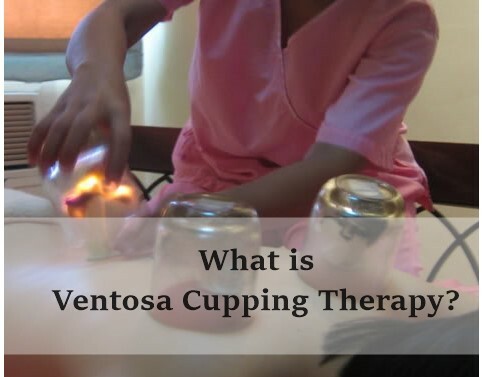 What is Ventosa Cupping Therapy? Ventosa cupping therapy is an ancient Chinese alternative treatment that uses local suctions on the skin to eliminate stagnation of the blood flow. It also promotes healing for a variety of health conditions like colds, bronchitis, pneumonia, body pain, swelling and gastrointestinal disorders. It balances the qi and maintain a healthy physical well-being. The two main types of cupping therapy are dry cupping and wet cupping. Dry cupping involves heating the cups inside with flammable substances like paper, alcohol or open flames; and quickly placing these warmed cups upside down on the skin. A spa attendant may sometimes apply herbal or medicated oils to the skin prior to the procedure to easily glide the cups around the meridians and acupoints. As soon as the hot air pressure cools down, it constricts and pulls up the skin; creating a vacuum due to the lack of oxygen. Mechanical and rubber suction pumps can also be alternately used to produce the same vacuum. Generally, these cups are left on the skin between five to ten minutes depending on the patient’s condition. Wet cupping creates a mild suction by applying a heated pump or cup on the skin for three minutes. After removing the cups, the practitioner performs minor incisions using a cupping scalpel. He or she goes back to create a second suction to extract a small amount of blood (it is treated with antibiotics to avoid infection). Is it safe to have this therapy? Ventosa cupping therapy is generally safe, especially when done by accredited health practitioners. The normal reaction includes reddening of the skin which signals that the drawing out of blood circulation to the surface. It also creates a warm, tingling sensation after the session. Expect to see dark markings on the skin due to the ruptured capillaries under the skin. The skin markings are generally painless and disappear within two days after the therapy. There are instances, however, where health experts don’t recommend the cupping method. Patients with wounds or inflamed skin, convulsions, fever, metastatic cancer, as well as menstruating and pregnant women should not do any of this therapy. American Cancer Society also warns cancer patients against skipping conventional medical treatment and opting for the cupping therapy to treat their health conditions. Doing so may have direct consequences on their health. Make sure to discuss this with your doctor before doing any ventosa cupping treatment. Disclaimer: When you click and buy products from this blog, I may earn a small commission for my endorsement, recommendation, testimonial, and/or links to any products or services. Your purchase helps support my work in bringing you valuable content about spa, health and wellness. Yeah, I heard from my old folks that they used to do this and use “dahon sa saging” with massage oil to kill off the trapped air (panuhot) inside the body. I actually had ventosa several times but I only got to blog about it when I went to Grand Royal Spa. Here’s the link: http://cebuspawellness.com/bentosa-cupping-at-grand-royal-spa/. Yeah, super effective sha sa panuhot. I honestly think it looks scary; but the technique seems to be used and promoted by practitioners internationally so I do want to see for myself how it is done. Are there any spas here in Cebu that practice that method? That’s nice. It’s interesting that they are offering this in your nursing school. Did this to a classmate during nursing student days! Not recommended if you’re planning to go swimming a few days after. It leaves big dark spots! You’re correct! Probably do it like maybe 5 days before wearing something revealing. It might look scary at first but once you’re you will a lot better. Hmmm, na curious ko sa benefits dash, do you have a good recommendation where best to get this service? I shared a link sa taas kay Janine. Last year sa Grand Royal Spa ko nagpa.Ventosa. Okay ra and dili sha scary or anything. Very relaxing kaayo. Hahaha, bloopers indeed. Glad she was okay with it.